The snow has melted, the days are getting longer and the sun has started peeking through the clouds. It must be spring. It must be triathlon season! The first race of the season was approaching at an alarming rate, and I was getting concerned. My winter training has been, to be frank, largely non-existent. My motivation post ironman had been frustratingly lacking. Add to that a concussion following a cycling accident in February and an unexpected trip to the UK in April and things were really not looking good. I had images of the race going incredibly badly and even wondered if I should pull out. The day hadn’t got off to the bet start when my alarm didn’t go off meaning I was late. Luckily, this race starts about 2 blocks from my apartment, so at least I didn’t have too far to travel. I had also made the mistake of deciding to add some pressure to my tyres before I left. In my rush, I couldn’t get the pump to work efficiently, causing more stress. However, my decision to go ahead and just treat it as a fun training session was immediately vindicated when I walked into transition and saw so many friends. I quickly set up my transition and hurried into the pre-race meeting. 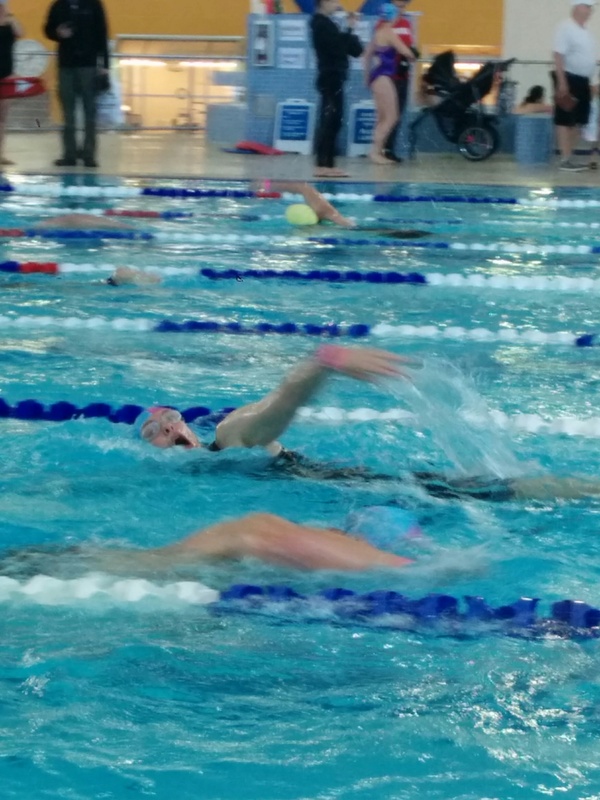 The swim at this event is in the 50m pool, so starts were staggered, one person at a time, 15 seconds apart. Therefore, I had around 45 minutes to wait. 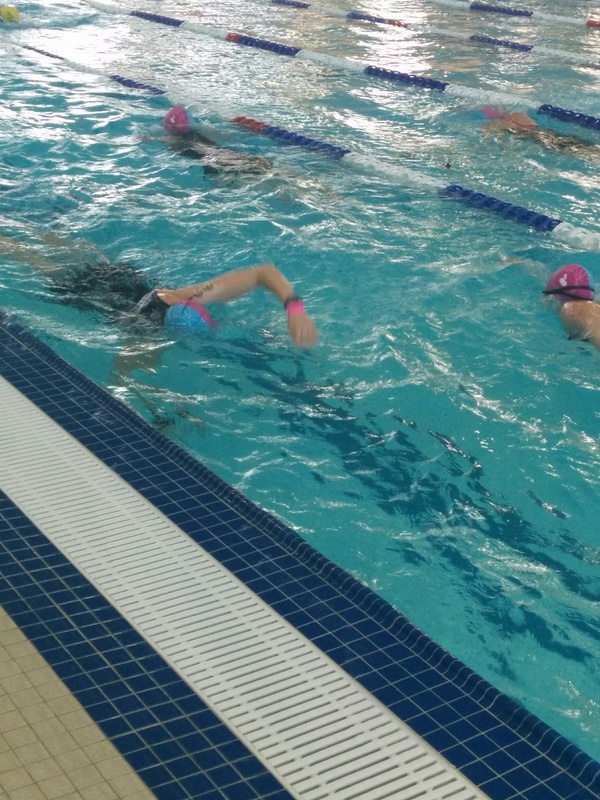 I hung around to pool deck chatting to numerous friends – this is why I love to do triathlons! This is the third time I have competed in this event, you can read about 2015 here. My goal was to go faster than before, though I wasn’t getting my hopes up. I had decided to take it fairly easy on the swim and this strategy served me well. I had estimated my time well so I wasn’t passed by many people. Unfortunately, I twice got strict behind very slow swimmers, (passing is only permitted, going up the pool, not down). Instead of getting frustrated I opted to just see these as opportunities to relax and breathe slowly, saving my energy for later in the race. Need to learn to keep my head down! Finally, I came to the last turn. I remember thinking to myself that really need to work on my turns as I started final length. I felt good as I pulled myself out of the pool. Removing my goggles, I could see my friends cheering for me. I jogged down the fire exit stairs and across the cold asphalt of the parking lot towards transition. Once I found my bike, it was a quick change and I headed out onto the cycle course. 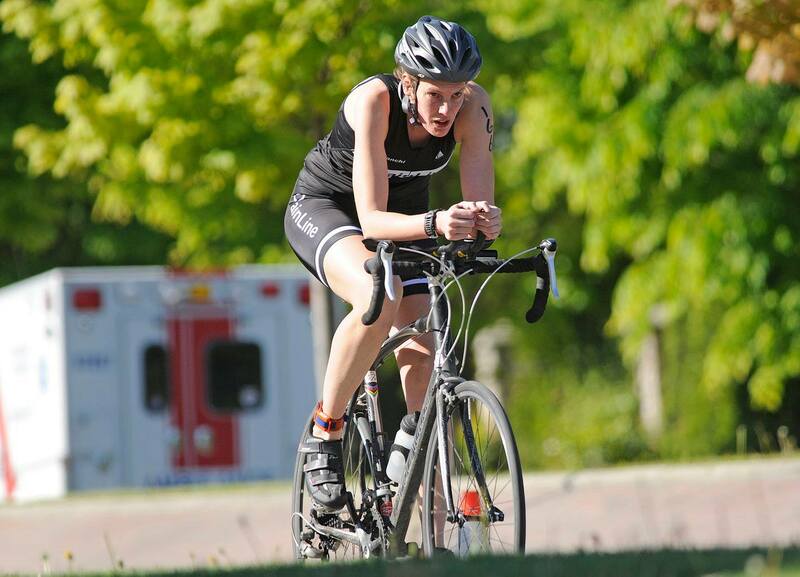 Due to the general lack of training, I didn’t have high expectations for the bike leg. The course is 3 loops over a hill so I had 3 chances to do it right. I pedalled hard and was surprised at how fast I seemed to be going. I was also able to say in aero position for the majority of the ride which was encouraging. Things were going great, but as I headed out on the run, I could immediately feel the stiffness in my legs. As I pressed on, it felt like I was running so slowly! A quick glance at my watch confirmed that I was running 15-20 seconds slower per kilometre than usual. I must have worked too hard on the bike. Happily, though, my run was strong and consistent, albeit slow and I crossed the line in 1:35:24 – slightly faster overall than last year!